We aren’t hillbillies! | Be Nice. 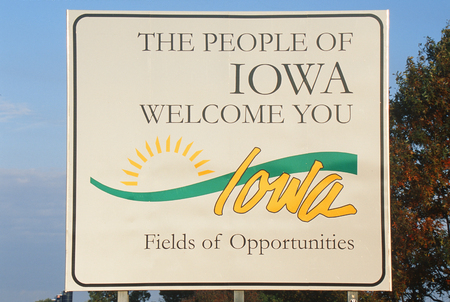 The first caucus each election year is in Iowa, which was where I was born and raised. Moving to the northeast I’ve heard all sorts of warm (and some not so warm) jabs at my background as a Midwestern country gal. Most of the time I can take it. After all, before moving to New York I thought this place was riddled with crime and had very few trees (cement jungle, anyone?). When I said I was moving to Albany, people would remark, “Oh! The Big Apple!” No… more like 3 hours north. Lucky for me it turns out upstate NY is full of trees, country living, and mountains. Real small town up here. Gee wiz. Who’da thunk it? The same stereotypes exist about Iowa. Rural folk, simple people; unwise to the ways of the world. Quilts. Homemade jam. Evangelical. Conservative politics. All trucks, no cars. Straw used as floss. Boots-wearing country boys. But even though I know these are innocent stereotypes or impressions, I have to admit I get tired of hearing, “Is Iowa really representative of America?“ when it comes to caucus talk. I can think of quite a few states that, besides their metropolitan areas, are very much like Iowa. So I hope you will indulge me with this video (below). It made my day. Mainly because it is hard not to be frustrated when people imply your state is in some way “out of touch” with the rest of the world. That your family, your friends, your professors are all somehow not good enough to be first to choose. I mean… I grew up on an Iowa farm, educated at an Iowa state university, and I didn’t magically gain common sense or become liberal-minded when I stepped foot on urban soil! So if you feel you are guilty of prejudging based on stereotypes (I’m guilty! ), I suggest the next time you meet someone different you greet them with curiosity and an open mind. You can even acknowledge you may have existing stereotypes or preconceived notions. It’s only natural. It’s a big world. Hey, I even bet the person would be happy to politely fill you in on what you missed or misunderstood. At least, I know I would! PS – the video below has some explicit words. For a clean version, click here. This entry was posted in Be Nice. Challenges, Perspectives on Be Nice. and tagged Election 2012, Iowa, Iowa caucus, stereotypes by Jen. Bookmark the permalink. I love this! I grew up in Jersey (I know…talk about stereotypes); but, have spent most of my adult life in the Midwest (Minnesota, Missouri, S. Dakota, Illinois and yes: Iowa). So, I was not surprised when Iowa passed gay marriage. And even though I live in Brooklyn now, I just feel like a Midwesterner. Thanks Ann! I agree with you. I like to think that “Midwestern” is a state of mind! Makes sense to me. 😉 haha! Iowans-lighten up! Laugh at yourselves! As I see it, shows such as Hee-Haw, the Beverly Hillbillies and the Waltons with their industrial strength cornpone are accurate depictions of Iowans. Hi Joe, We Iowans can take jokes, no worries. Take care.